Timely, efficient bookkeeping services are available for businesses of all sizes. Computerized accounts are prepared, saved and presented for client review on a real-time (cloud based), monthly, quarterly and/or annual basis. Budgeting and forecasting services are also available. We are a Quickbooks ProAdvisor. 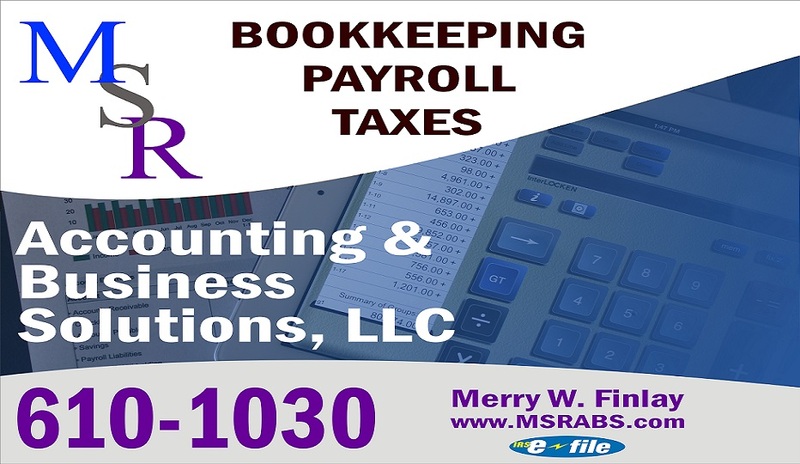 Copyright MSR Accounting & Business Solutions, LLC © 2019.